People learn about DivX through different paths. Many know DivX through our software download, but others learned about DivX from our former mobile app, our long-lost video site (Stage6), or our top-notch, Pulitzer-deserving blog. As a result, you may not be aware of DivX Certified® devices. So what in the world are DivX devices? Quite simply they’re consumer electronic devices that have been certified to play DivX® video. What types of devices are “DivX Certified”? 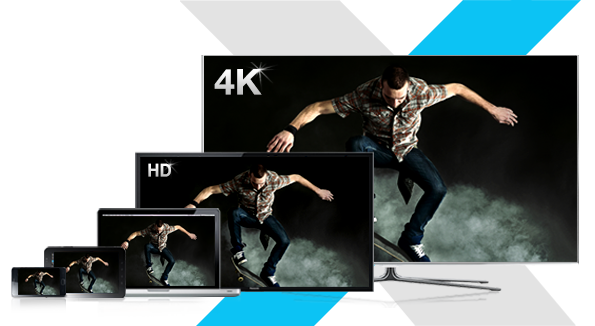 There are a huge variety of devices that we’ve certified to play DivX video. This includes TVs, DVD/Blu-ray players, PlayStation, in-car players, mobile phones, projectors and more. There are a few brands that have a ton of DivX playback devices (e.g. Samsung and LG), but over the years we’ve worked with nearly every consumer electronics company. In fact, since we started certifying devices over 10 years ago, there have been over 1 billion DivX devices shipped worldwide. The fact is that there are a lot of devices out there that play DivX video … and you may already have one. How do I know if a device plays DivX video? Back in the day, it was easier to figure out if your device was certified. Most of the products (like DVD players) had the DivX logo – along with other technologies – printed on the bezel of the device. As times and tastes changed, manufactures stopped putting as many technology logos on their devices and instead list them in the menu of the device (within the on-screen interface) or in the product manual. 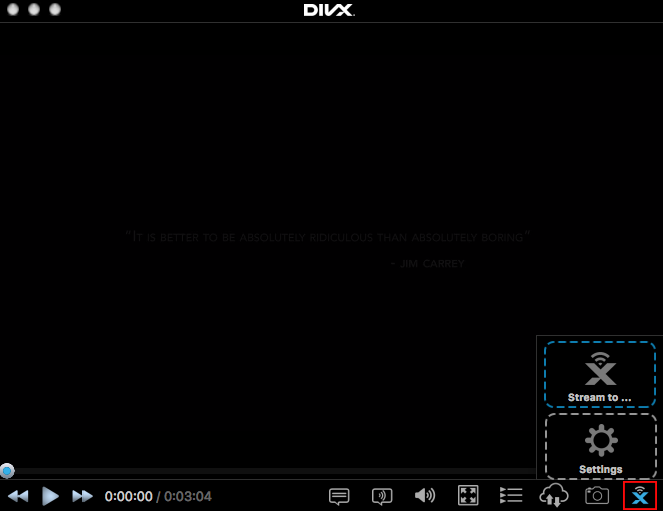 If you find the DivX logo listed in your manual, you know your device can play DivX video. 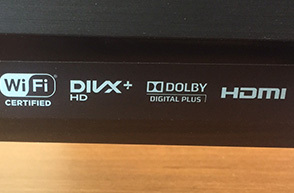 DivX logo on a Blu-ray player bezel. If I have a DivX device, how do I play DivX video? If you already have a file in the correct DivX profile, then playing it back should be easy. For most TVs, Blu-ray players, in-car devices and more, putting your videos on a USB stick or burning to a disc will do the trick. If you need to convert your file first, simply drag your file onto the DivX Converter (included in the free DivX Software bundle) and choose whatever profile matches your device. Learn more about DivX Converter. Or, depending on the connectivity of your device, you can skip physical media and cast video directly to your device (e.g. smart TV) from your computer using the media server in DivX Player. To start casting, click on the ‘Cast’ button at the bottom right of DivX Player. What do the different DivX profiles mean? As video and technology changed, we added new DivX profiles to create the best experience. There are a few different profiles that your device may be certified under. As a result, you may need to convert a file to meet the requirements of your device. The profile should be listed in the device interface or in the product manual. For more on the profiles, check out these technical specifications. With over 1 billion DivX devices out there, it’s possible that you have one and may not even know it. This means that you can play DivX video through your device and enjoy more control over your media. We continue to aim to give you the freedom to watch your entertainment however you wish. Learn more at divx.com.